Together with the new Jules Collection, at Baselworld 2016 Urban Jürgensen presented the Reference 1741, a precious perpetual calendar watch belonging to the Jürgensen 1745 Collection. 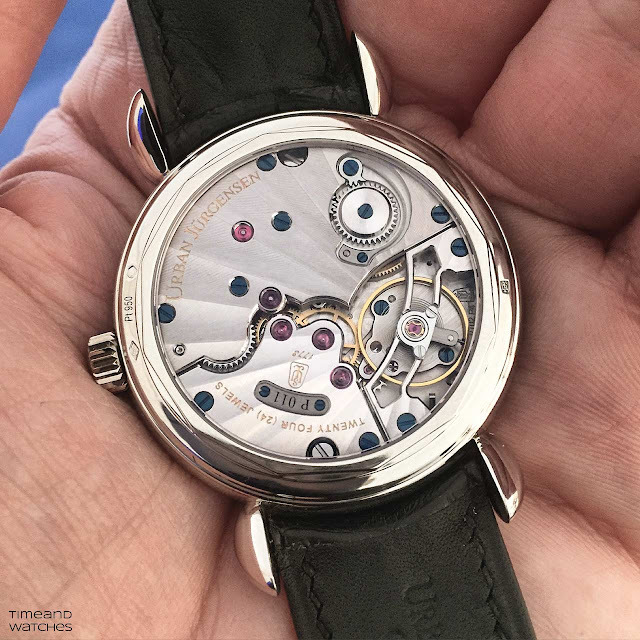 Crafted from 950 platinum, the 41 mm case of the Reference 1741 is characterised by a profile defined by convex and concave curves and consists of three parts: the middle case with the distinctive individually soldered teardrop lugs, the top bezel housing the domed sapphire crystal, and the screw back with a flat sapphire crystal. The dial, rich of details to enjoy, is crafted using the old and rarely used Grenage technique. In this hand-made process, which starts with a plate of solid fine silver, the Grenage layer is built step by step as a secret mix of silver, salts and other ingredients. By electrochemical reaction, a silvery frosty surface with depth and granularity emerges. The white gold Arabic numerals, adopting an elegant cursive typography typical of the 1930s, are then individually crafted and applied by hand. They require two separate cutting processes and are carefully hand polished cabochons. 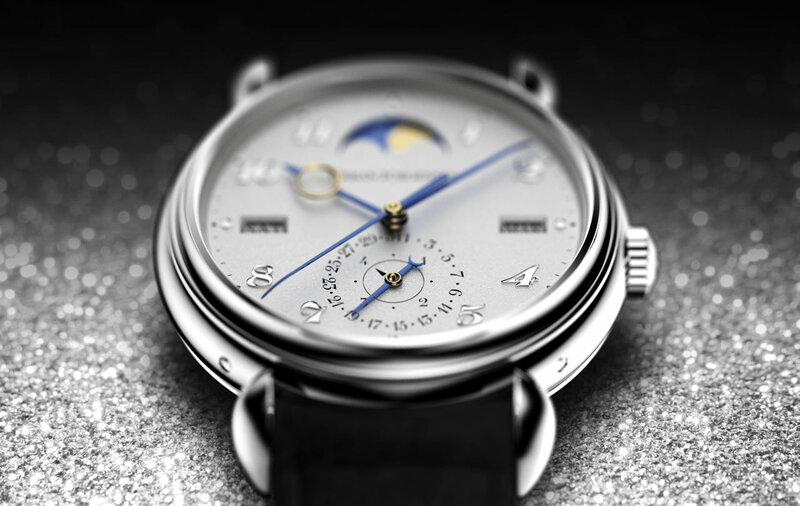 The hands, composed of multiple parts, are individually honed, assembled, mirror polished and, finally, thermally blued to the Urban Jürgensen navy shade. Of course, all operations are performed by hand. The eye of the hour hand is a concentrically diamond polished solid gold insert designed with an asymmetrical geometry tapering from the dial centre towards the tip of the hand. The beautifully finished Reference1741 calibre is based on the Urban Jürgensen P4 in-house movement with Swiss lever escapement, enhanced with a perpetual calendar functionality. Beating at 21,600 vibrations per hour, it offers 60 hours of autonomy thanks to its twin barrels. At 9 and 3 o’clock we find the two apertures for the day of the week and the month, respectively. The counter at 6 o’clock indicates the date and the leap year. The disc of the eye-catching moon phase display at 12 o'clock is hand crafted from mirror-polished thermally-blued steel. Recesses for the stars are then punched or etched into the steel. Pure gold in powder form is then deposited into the cavities for the stars and melted into place to form a solid gold inlay. Finally, the two solid gold moon discs with mirror polished surfaces are press-fitted into corresponding holes in the disc to complete the dual image of two sets of moons with stars. Very nice watch. Purely classic. Maybe I would reduce the size of the case to 39 millimeter for smaller wrists. 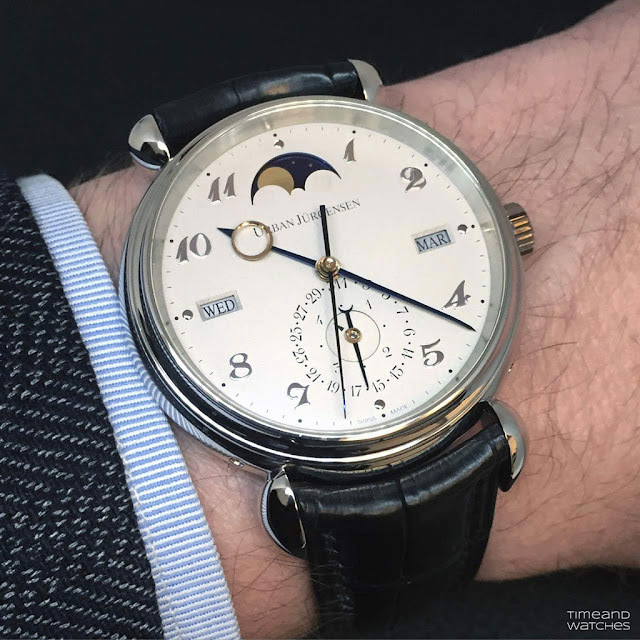 Urban Jurgensen Ref. 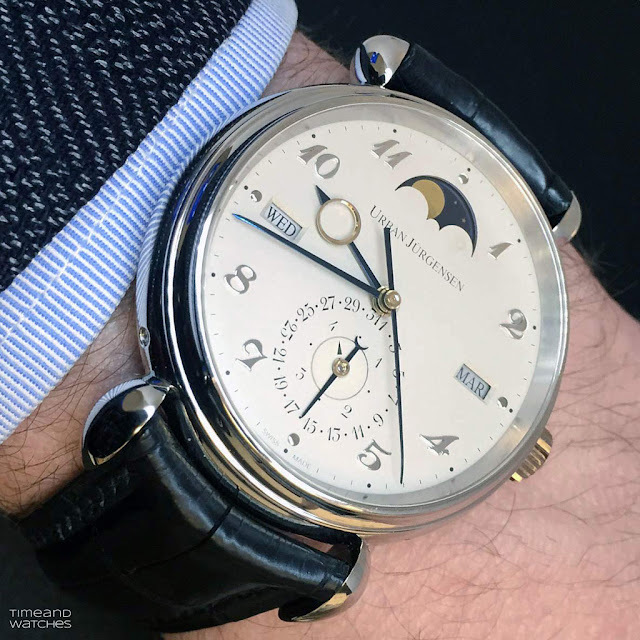 1741 Perpetual Calendar Platinum. Urban Jürgensen Ref. 1741 Perpetual Calendar Platinum. 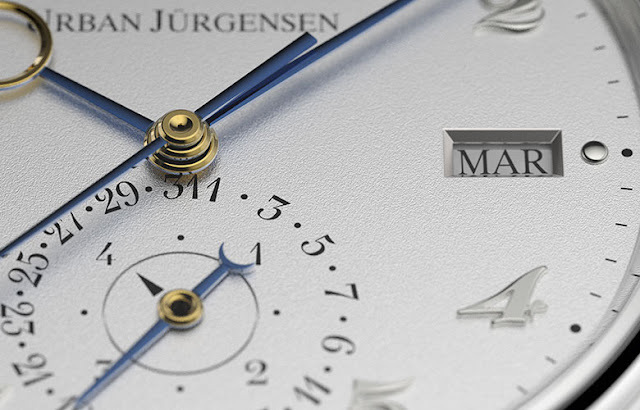 Together with the new Jules collection, at Baselworld 2016 Urban Jürgensen presented the new Reference 1741, a precious perpetual calendar watch belonging to the the Jürgensen 1745 Collection. 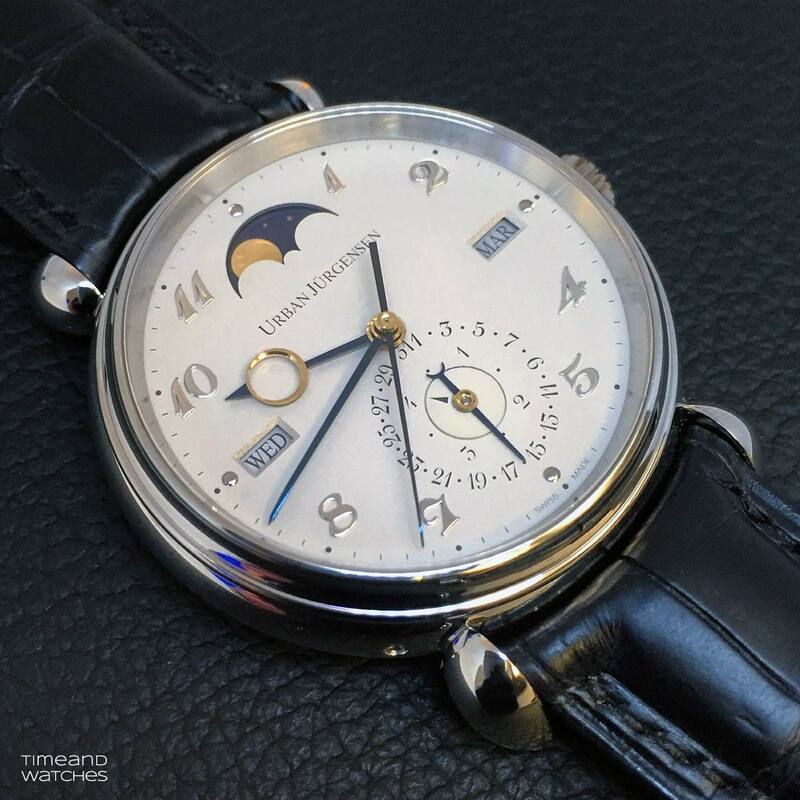 The Urban Jürgensen Ref. 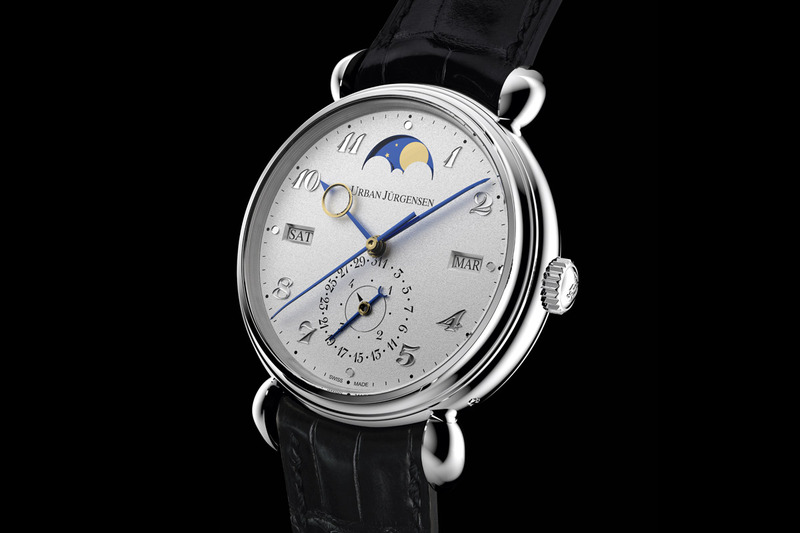 1741 Perpetual Calendar in platinum has a retail price of Swiss Francs 91,200.